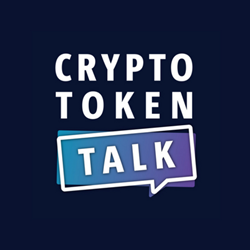 Crypto Token Talk, a podcast focused on innovations in blockchain and cryptocurrency, announces media partnership with CIS, the largest cryptocurrency event of 2019 in North America. Crypto Token Talk is really excited to take part in these meaningful conversations and help further the education and learning of cryptocurrency and blockchain. Crypto Token Talk (CTT) announces a media partnership with Crypto Invest Summit (CIS) to speak with the event’s robust lineup of speakers and sponsors. Hosted by Kelley Weaver, CEO of Melrose PR, Crypto Token Talk is an educational on-ramp to cryptocurrency and blockchain innovations through interviews and conversations with leaders in the space. CIS, one of the largest cryptocurrency events, will be returning to the Los Angeles Convention Center on April 9th and 10th. With a powerful lineup of top-tier figures in the cryptocurrency and blockchain space, the two-day summit will be covering a wide range of topics touching on the trends, insights, developments, and strategies. Previous CIS industry experts include Steve Wozniak, Tim Draper, David Bleznak, David Siemer, Crystal Rose, and more. Crypto Token Talk is a podcast focused on innovations in blockchain and cryptocurrency hosted by Kelley Weaver, CEO of Melrose PR. Each episode features an interview with an industry insider, expert, or project founder. Guests discuss everything from their journey into crypto to best use cases for the technology and predictions for the future. Appealing to newbies and seasoned veterans alike, Crypto Token Talk is an entertaining resource for all things crypto and blockchain. Goren Holm Group, led by Josef Holm and Alon Goren are industry pioneers, investors and producers of some of the top blockchain and cryptocurrency conferences in the world. Their backgrounds in venture capital, crowdfunding and online investment marketing technology make them uniquely equipped to service the digital securities revolution. Goren Holm Group, LLC and its principals manage Goren Holm Ventures (GHV) and also produce CIS, the world’s largest blockchain summit and expo as well as Security Token Summit, one of the top, most exclusive digital securities events.